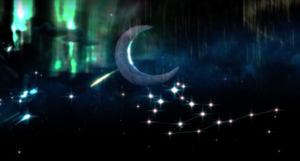 STELLAR FILM SHORTS FROM THE ZGAC STEAM SCREEN – ISDC 2018 MOVIE NIGHT – Saturday Night, May 26, 2018 9:30 pm. Join us for our next screening to take place as a part of the proceedings of the National Space Society’s International Space Development Conference on May 26, 2018, 9:30 pm at LAX, Sheraton Gateway Hotel. ZGAC’s Chief Visionary Officer, Frank Pietronigro, participated in this Digital Hollywood’s for a panel in which I will participate titled “2001 A Space Odyssey” – & “Star Trek” – The Science, The Technology – The Visionary Genius – Imagination Gets Realized. 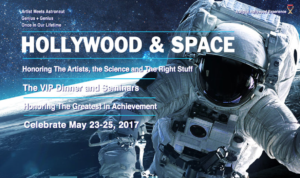 Dr. Susan Jewell, Founder and President of the Mars Academy USA cordially invited me to speak during a panel at Digital Hollywood and Space Event. Friday, May 26, 2017, 9:30 PM, St. Louis Union Station Hotel Grand Ballroom. World Premiere highlights of Academy of Art University Web Design New Media School motion graphic designers celebrated during the proceedings of the National Space Society’s 37th International Space Development Conference during ZGAC STEAM SCREEN ISDC2017 MOVIE NIGHT. 30+ motion graphic videos produced by university student imagining how the arts and culture might express itself on the future of space exploration. These works of art were enjoy by leaders in the space exploration communities. ZGAC’s program, last year, was curated by Frank Pietronigro and presented on May 20, 2016 during the 35th International Space Development Conference in San Juan, Puerto Rico. 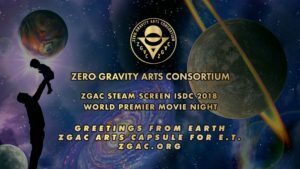 ZGAC is inspiring a new generation of space adventures while supporting international efforts to set the stage for teams of artists to have permanent access to work on space transportation systems including the International Space Station and space flights to Mars and the Moon.